If there’s anything gamers are guilty of, it’s nostalgia blindness. We love to replay the things that we played when we were younger gamers, but just how well do some games hold up to the test of time? 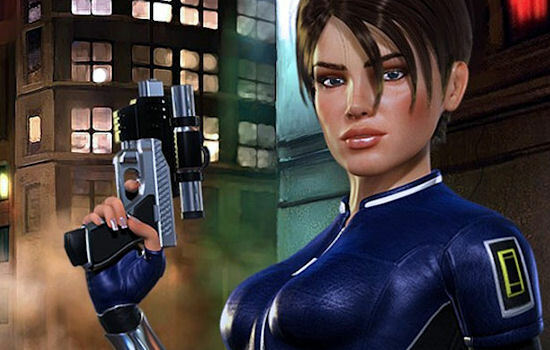 We played Perfect Dark HD on the Xbox Live arcade, and put the Nintendo 64 classic to the test using one nostalgic gamer, and one piece of fresh meat together in co-op. For the record, I was one that played Goldeneye, but never played Perfect Dark to begin with - so this was an entirely new experience for me. I can honestly say that a lot of my Goldeneye Nostalgia was there, but my co-op buddy was the one that was remembering the good old days with evil turrets and Elvis. For those unfamiliar with the world of Perfect Dark, you don the role of Joanna Dark, agent of the Carrington institute. There are two rival factions that take sides of two alien races. 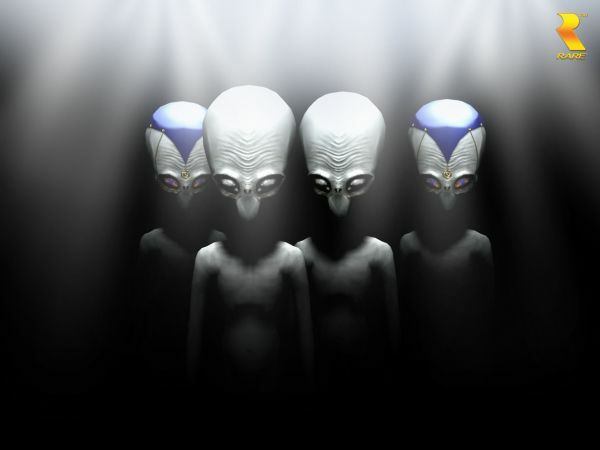 The Carrington institute is on the same sides as the “Maian” aliens, who look like the traditional grey, big eyed aliens of tabloid lore, against the DataDyne corporation who is paired with a race of reptile aliens called Skedar. That’s the basic version, anyway. There is infiltration, disguise, rescue and sabotage missions that come from the Carrington Institute to help these Maian Aliens out. You even make a trip to Area 51 to rescue a rather hip Maian named Elvis. For the original Perfect Dark fans: The goofy stiff animations which include rolling, shooting behind while facing forward, wide stiff gestures for miming story, and no facial animation is still present. It was more endearing than detracting from the experience. Also, the original music is intact - but is now present in stereo. The gameplay resembles an N64 era shooter, wandering aimlessly to memorize rather short levels to complete objectives. You’ll pick up a load of neat weapons that have cool alternate fire modes for maximum damage (well, okay, some of the guns have “pistol whip” as their alternate fire mode). 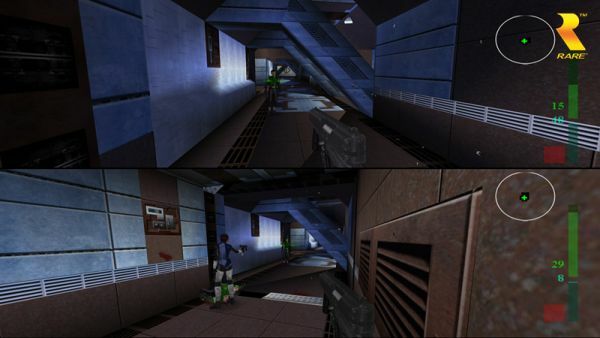 The auto-aim is a handy feature in Perfect Dark HD, since the crosshairs behave the same as they might have on a single analog stick. That is to say: precise aiming doesn’t work, but if you let go and just let the auto-aim do its thing, you’ll do just fine. If you’re an ammunition conservationist, this game is definitely not for you. Co-op was a little different for Perfect Dark HD. Playing the main storyline, it was very nice to have a co-op buddy. As a true Nintendo 64 classic, there is no NAV point or directional help. So, you and your buddy spend a lot of time exploring the small, but maze-like areas. Having two of you covers more ground, and helps after you’ve had to restart the same level 30 times because a mission was somehow failed repeatedly or you died a lot. The story is straightforward, and it’s nice to have two Joanna Darks - one blonde, and one brunette. The co-op, however full of story it may be, is also flawed in a few ways. First off, the online co-op had sync issues and lagged periodically. While that didn’t happen often, it was enough to detract from the game. We had issues where it would stop the game completely, and other times where it would lag just long enough to be ambushed by enemies when we regained game integrity. Another co-op flaw came in the areas with a disguise, or card-key access. When in single player, if Joanna picks up a disguise, she can put it on to complete a level. When in co-op, if player one Joanna picks up a disguise she can wear the disguise and complete the mission, while player two Joanna has to stay away from any guards or she’ll raise suspicion and the objective is instantly failed. Card-keys worked the same way. If player two finds the card key, player two is the only one that can access a locked area or computer to progress the story. This means, if player two dies, both players have to wait instead of moving on. Since the full game is co-op, I don't feel like this was a deal-breaker at all. But, those oversights really bummed me out as a player who was following the lead of an original fan, which means I was left behind quite often to hide out. As a player new to Perfect Dark, I was pleasantly surprised at how well the game translated to an arcade game. But, I was still disappointed in a few small things. Overall, not a bad co-op experience at all taking us on a trip back to some good old times for gamers fond of the N64. Probably appears better to the fans who played the original, though. The Co-Op Experience: Currently the co-op information on this is unconfirmed. Page created in 0.6005 seconds.